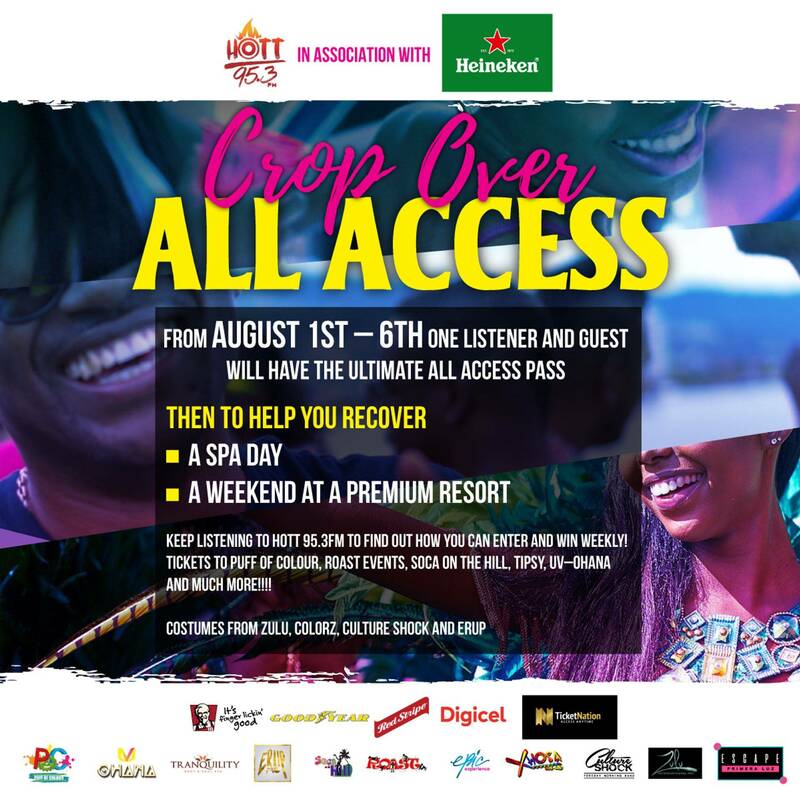 HOTT 95.3FM In Association Heineken Want To Give You The All Access Route To Crop Over! Keep Listening To HOTT 95.3FM To Find Out How You Can Enter & Win!! Puff Of Colour, Roast Jouvert, Soca On The Hill, Tipsy, UV–Ohana And So Much More!!! !